(Issue 67) We don't send spam. We won't give out your email address. While you’ve been abstemiously pretending to like herbal tea and group exercise, we’ve been making sure that your February begins in a manner befitting 31 days of abject piety. And if you’re more "tryanuary" than "dryanuary" we’ve got a feeling that our panel of experts’ top picks will work almost as well. "I can’t think of a better way to break the booze blackout than a very stiff one at Ginger’s, courtesy of mixer extraordinaire Gary Anderson. 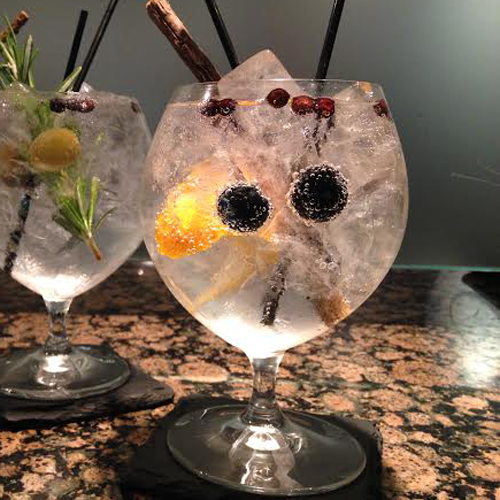 It’s got to be a cracking G&T showcasing Monkey 47 gin, pimped with orange, a bobbing forest fruit and a raw liquorice stick. Have a large one, which is the size of a goldfish bowl, and kiss goodbye to a woeful January - and the feelings in your extremities." 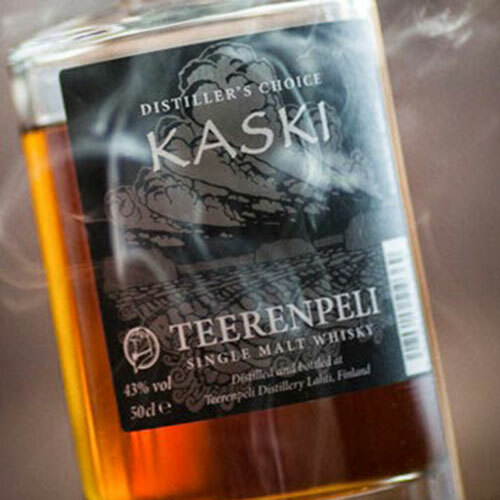 "Whisky buffs will like Teerenpeli Kaski single malt. It's an unusual Finnish whisky - a tiny country on the scale of whisky production - from its first commercial distillery, which resides in the basement of a top restaurant. Despite its young age (eight years), it's great. Strong notes of sherry, chocolate and light smoke on the back. A short finish but a delicious dram that's worth £8.50 a throw." 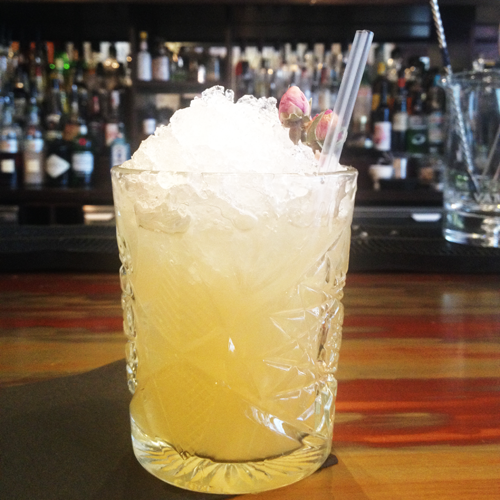 "If I'd actually managed to stick to dry January, I'd be ending it with Bureau Bar's "Poppet" cocktail in my hand and a massive holier-than-thou smile on my face. It's sweet but not sickly and between the Pear Grey Goose vodka, the Earl Grey syrup and the apple juice, it's a flavour you won't find just anywhere. 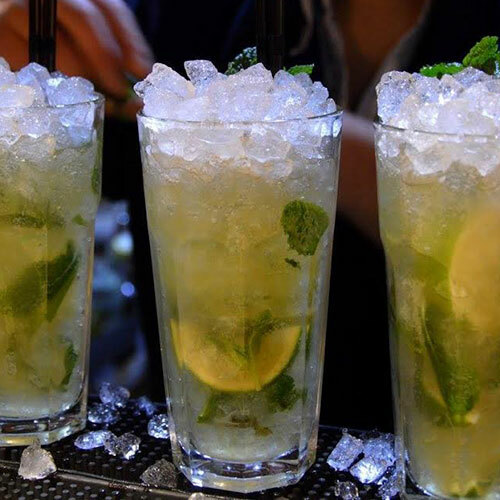 Refreshing and utterly delicious." "I'd celebrate with a glass of sherry. There's a sherry for all seasons and at this time of year one of the darker, oxidised styles like oloroso, amontillado or palo cortado would fit the bill - all available at Loki. This needs to be served with a few slices of ewes milk cheese 'Berkswell' and some meltingly delicious acorn-fed Iberico ham - both available opposite Loki, at Anderson & Hill." 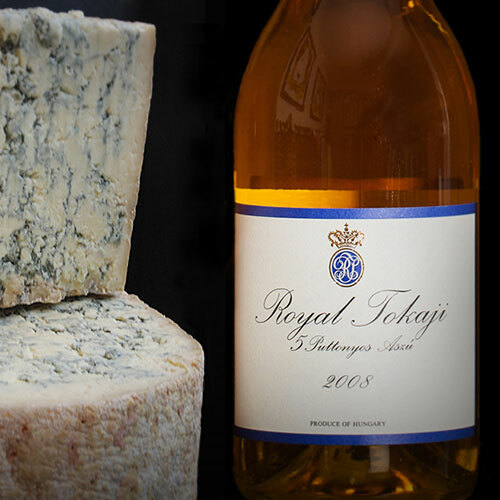 "Royal Tokaji should be on everybody's bucket list of wines. We all have wine-specific bucket lists, right? You can get it at Majestic and it's a steal at £20. 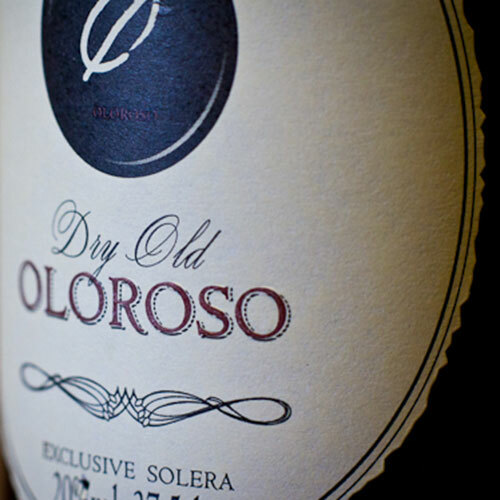 Such a rare, wonderful wine, because it's sweet but refreshing with perfect acidity. Amber in colour because it's aged in oak barrels, expect marmalade and honey notes. Drink with a good stilton, but it also pairs well with sweet desserts." "I ignored dry January for the 33rd year running. In fact I blanket unfollowed and unfriended all participants on social media. That said, if you did take part, you'll need to ease yourself back into the swing. The mojito at The Prince Of Wales is utterly faultless. 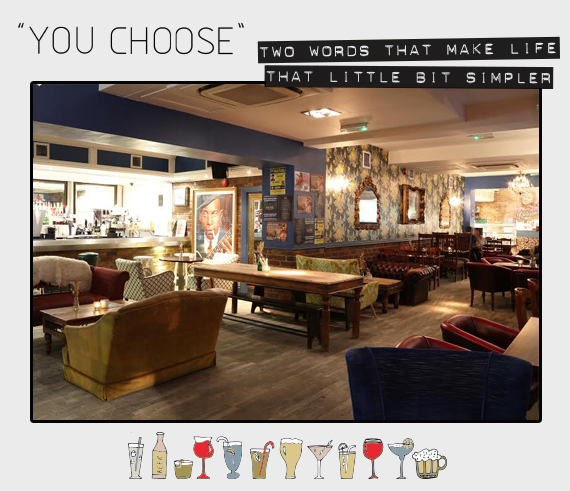 They're generous with their rum (and this is Brum's finest rum den) but it won't put you on the floor after one. Three (pictured) maybe. But not one." 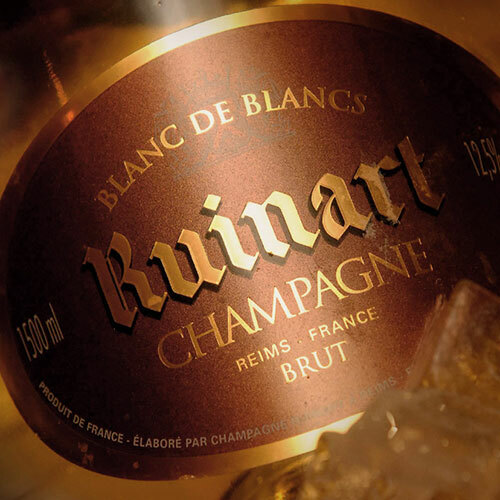 "Celebrate with the stunning Ruinart Blanc de Blancs, from the oldest Champagne house. Delightful pure chardonnay freshness with citrus, aromatic white flowers. Beautifully balanced, like climbing into fresh bed linen with a spring in your step. 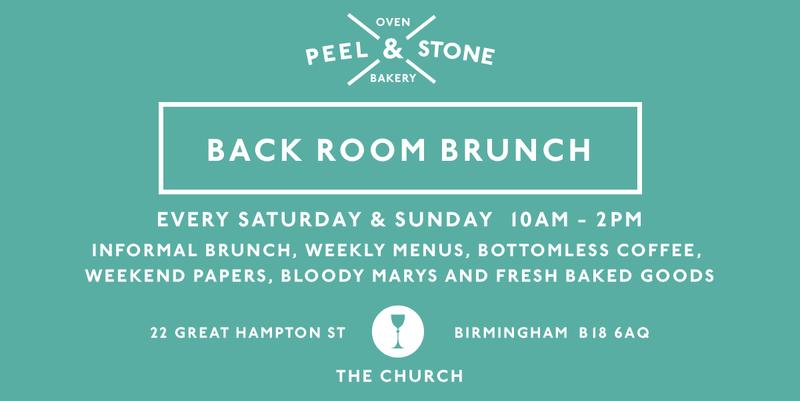 Treat yourself to Sunday brunch, as it's a heavenly match to scrambled eggs. Connolly’s, £57.50, worth it." 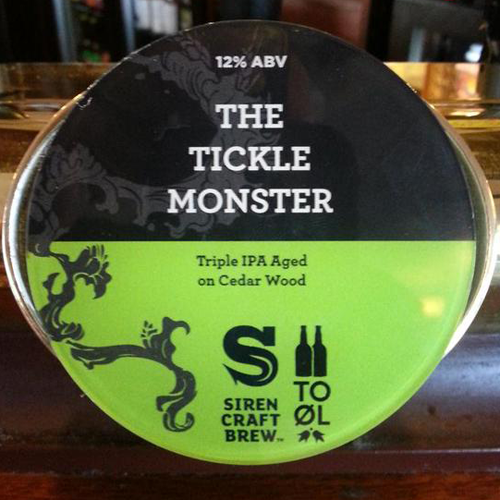 "Made by a Berkshire brewery called Siren, Tickle Monster is a 12% triple IPA. The "triple" refers to the strength and sheer hoppiness of the beer. Aged in cedar wood barrels it's a big, bold, sweet beer that should be drank as 1/3 of a pint like you would a glass of wine. You'll find it on tap at The Craven Arms and there's no telling if or when you'll ever be able to get it again, so do." THE CIRCUS IS COMING TO TOWN. SORT OF. Fantasy smashes into a dark reality as world leaders in contemporary circus, Cirque Éloize, stage a 12-strong takeover of the Hippodrome. 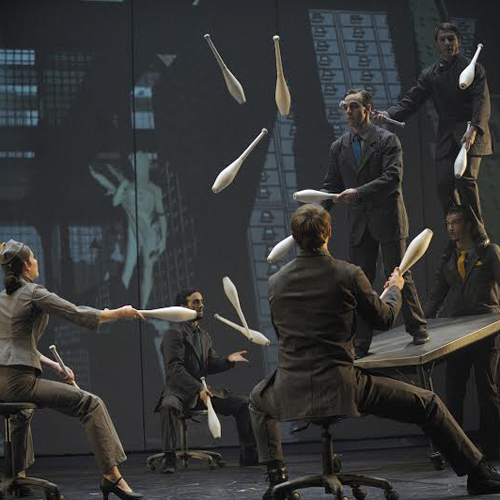 Think aerial artists, jugglers and hand-to-hand acrobats (yes - the ones that do handstands and flips onto each others' palms), together with a stern set design punctuated by resplendent glimmers of brightness as the performance progresses. For the regular circus goers, Cirkopolis even boasts a clown. But don’t expect a big red nose - if it’s the traditional you seek, locate your nearest big top; Cirque Éloize is to circus what The Edgbaston is to cocktails. Reassuringly high-end and the right amount bamboozling. 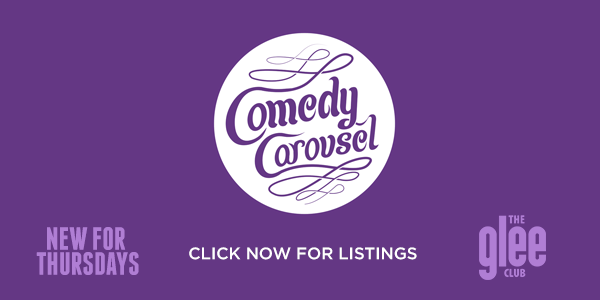 March 25 to 28; tickets here. Taking us back to 1970 Los Angeles so effectively it’s a surprise not to see Doc Brown’s name on the credits, the new film from Paul Thomas Anderson (Boogie Nights, There Will Be Blood) comes freighted with mega-high expectations. And, well, it meets them, but only by not reaching for anything you’d expect from a retro thriller – it’s an at once sweet and sad exercise in nostalgia. 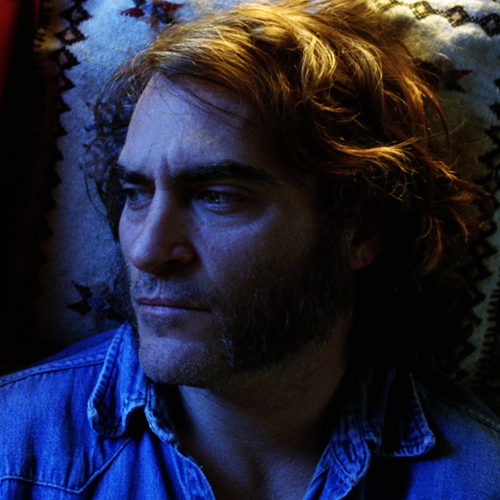 An adaptation of Thomas Pynchon’s woozy hippie noir novel, the Byzantine plot does hang together, but don’t worry too much about it – this film is about mood and texture, simultaneously letting us wallow in the kerr-azy world of the fading counter culture and inviting us to mourn its passing. We’re not the only people to have noticed the architectural melange which is Birmingham’s skyline. Indeed, to call yourself a proper Brummie you’re probably required to have had at least one mildly confrontational exchange on the subject of a recent construction or levelling. Fortunately the clever folk at Brumhaus are all over our multifarious concrete collective and have created Cityscape by means of salute. And we just can’t stop staring. 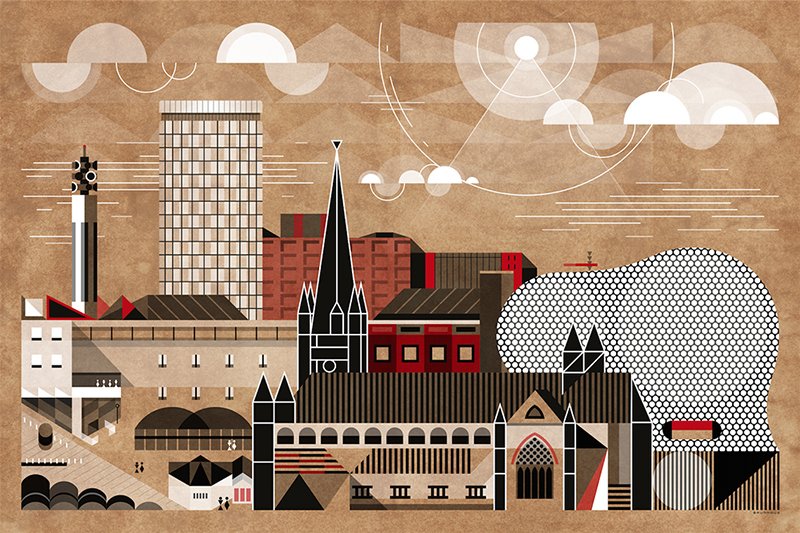 Based on the view looking North from Digbeth’s High Street, a confluence of geometric shapes and original patterns have been entwined to form everything from the iconic to the fledgling. Prints, cushions and tote bags from precisely £13.76 here. Make no mistake, there's tension in Moseley. No sooner had the Dark Horse opened with its American menu of burgers and ribs than the One Trick Pony Club landed with its, erm, American menu of burgers and ribs. 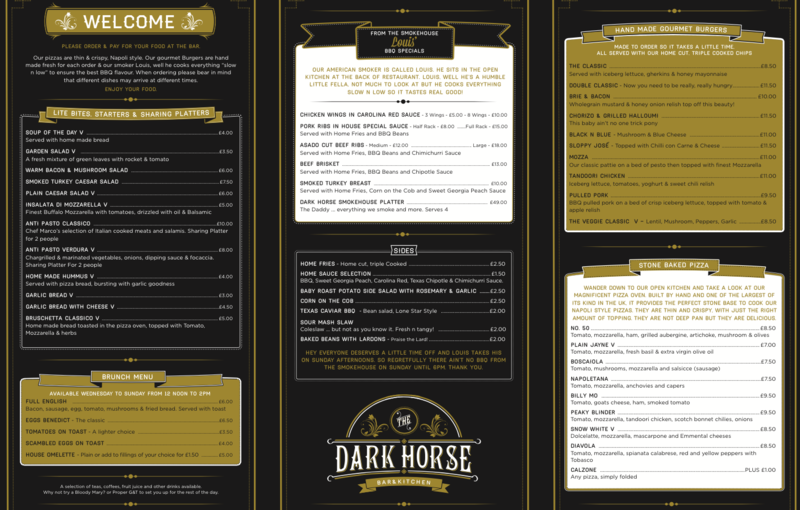 We plumped for the chorizo and grilled halloumi burger at the Dark Horse (so named because Lloyds bank, famous for its black horse logo, was founded at the nearby Private Park) in part on the advice of the brilliant staff, in part because of this not so subtle pop at their neighbours. Both restaurants serve this exact burger - Dark Horse saying they were first - and though we haven't tried both, we have had burgers from both. Our verdict? 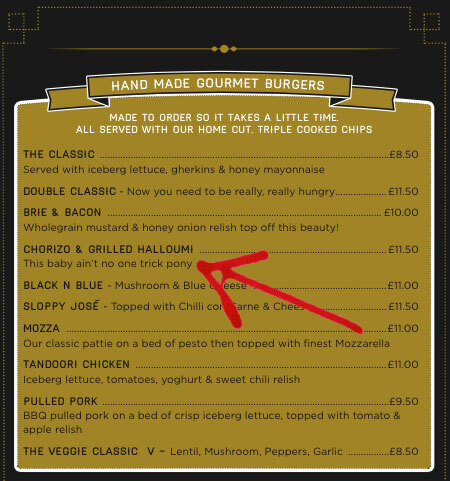 The One Trick Pony Club may have the novelty factor (Pickled Onion Monster Munch burgers etc), but the Dark Horse is in a different league. This was an all-singing, all-dancing hit. Juicy, but not greasy, the peppery patty smacked of quality beef with enough flavour to match its hearty halloumi and chorizo bedfellows. Suitably messy, certainly superb. Your move, Pony Club.